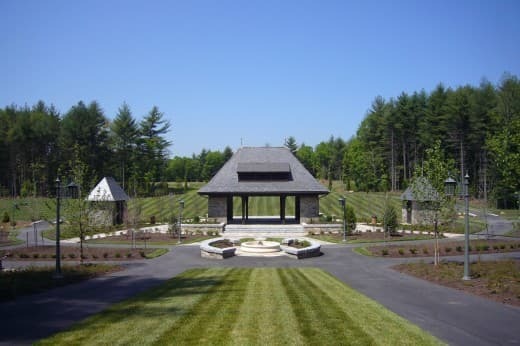 The three gatehouses at the Ramble are intended to set the architectural stage for the community’s design aesthetic, keeping true to the English Arts and Crafts style commonly seen in Biltmore Forest. 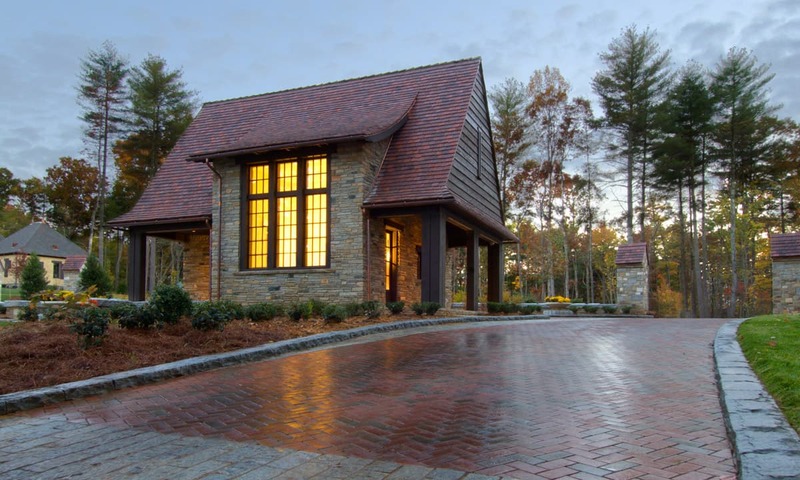 The main gatehouse features a clay tile roof, with a mixture of stone and cedar siding. 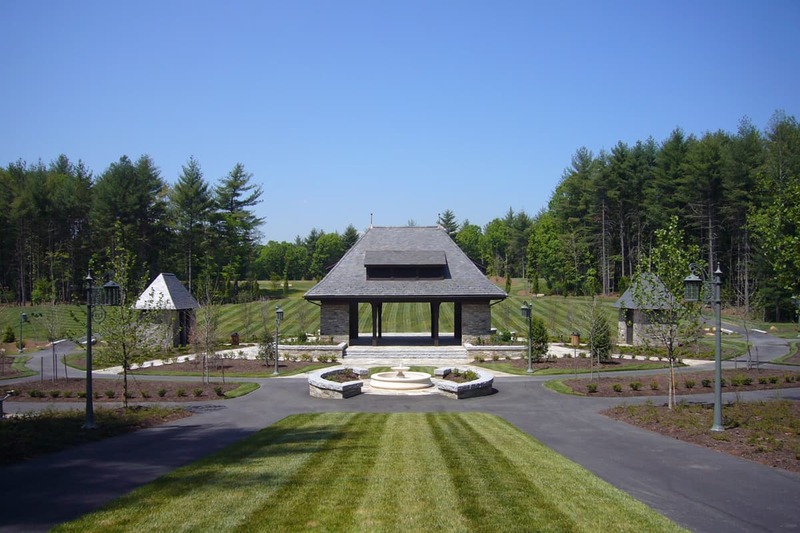 We worked with the landscape architect to separate the entering and exiting traffic for security and navigability. 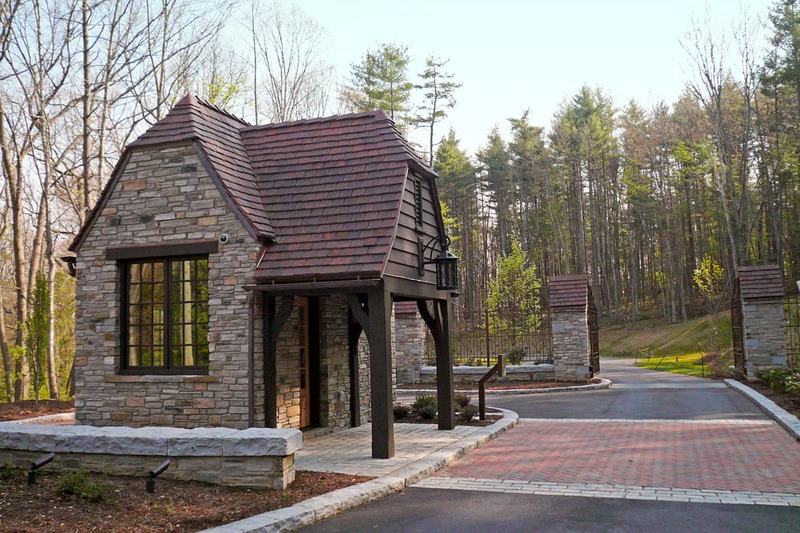 The gatehouse, which is occupied at all times, has a large desk area, restroom, storage, security vehicle parking, and a covered porch. 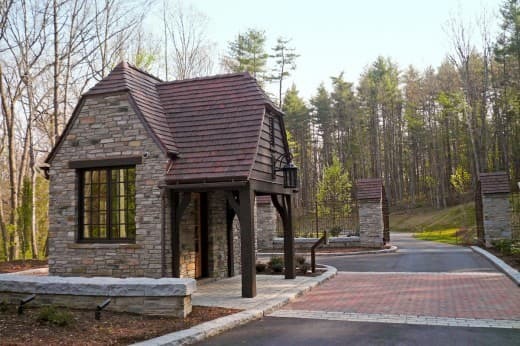 There is a dovecote at the entrance, serving as both auxiliary traffic monitoring station and an architectural anchor for the facility. The remaining two gatehouses are also island structures between traffic lanes, in the same design vernacular as the main gatehouse. 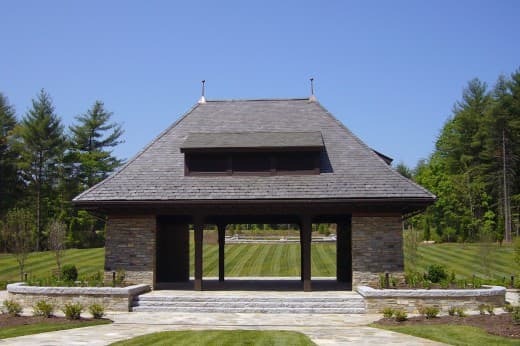 Their stone exteriors with timber detailing and clay tile roofs echo the look of the main gatehouse. The Pavilion at the Ramble is a multifunctional space for outdoor gatherings and summer concerts. 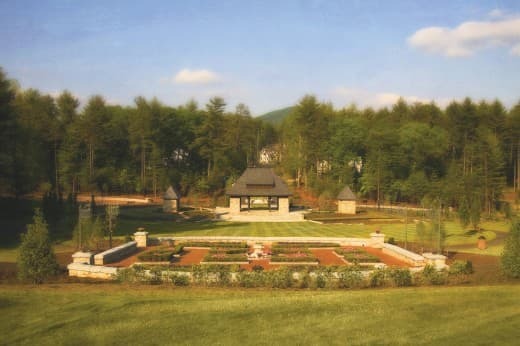 The approach to the main pavilion is flat, and the lawn drops at the rear, creating a stage area for performances. 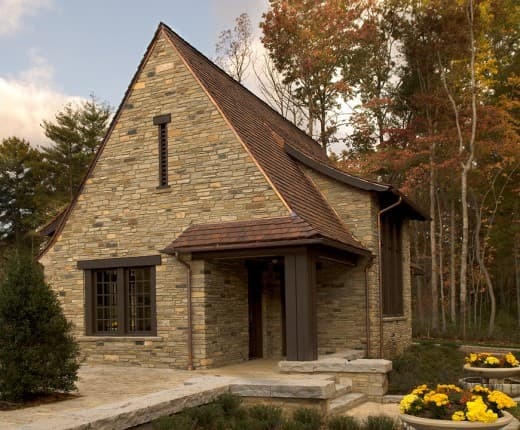 As with the Ramble Gatehouses, the materials and design evoke the English Arts and Crafts designs, with stone exterior and a durable slate roof.